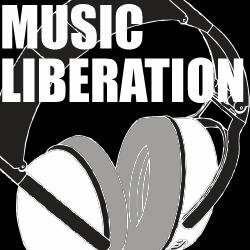 Music Liberation was started by me (Jon Sidwell) in April 2007, although back then we were known as 'A Space For Music Liberation' which was a bit of a mouthful and so was changed. Having been part of a successful new music Radio show at university for 3 years, I found I needed a new platform to share my passion for new music, and so a blog seemed the logical way forward. We were originally an mp3 based blog, with the premise being to push people onto artists with the view to them buying full lengths and supporting the artists and so on, however that incarnation didn't last long as we were inspired somewhat by the wealth of new emerging music around us. The focus moved away from mainstream acts to focus upon artists from around the world with an emphasis on independent music, with approved mp3's and streams going hand in hand with concise reviews and interviews. We try to be open to all genres, and to try listen to as much new music as we can. head on over to the Writers page to meet the current and past writers, and find out about how to get involved. We try to be honest in our writing, favouring positive wording/feeling, but we're not afraid to write a negative review if we see fit (albeit with some constructive criticism), but first and foremost we love discovering amazing new music and sharing it with the world. As of 2018 onwards we are currently just focusing on Album of the Week articles. Please get in touch if you have any questions or want to send us some lovely new music!